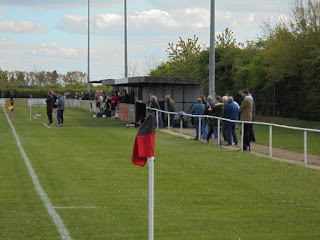 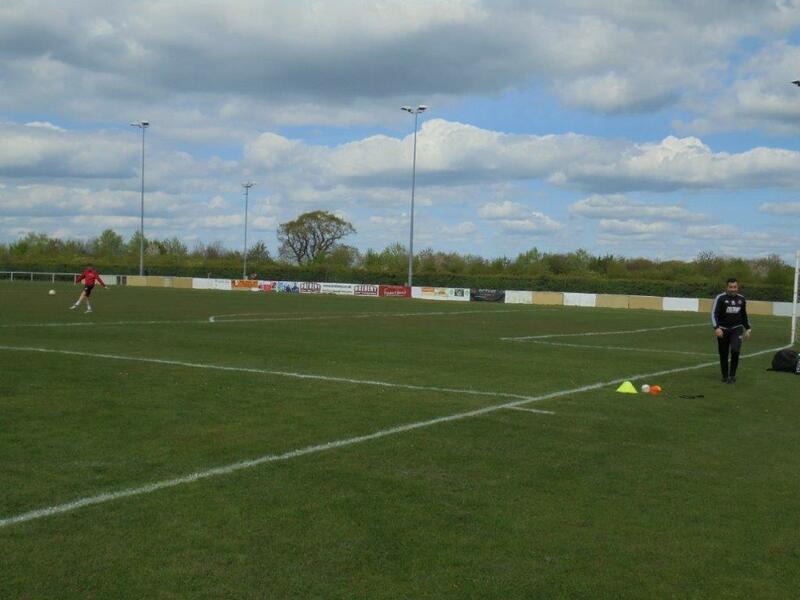 Huntingdon Town were founded in 1980 under the name Montagu FC, and were also known as Sun FC for a time before changing to their current name in 1996 when transferring from the West Anglian League to Division 2B of the Cambridgeshire County League. 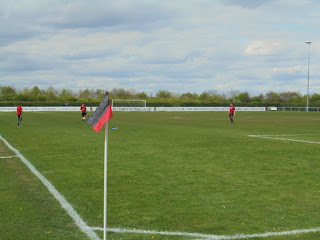 In 1998, the club were promoted to Division 1B, going on to win the division two seasons later. 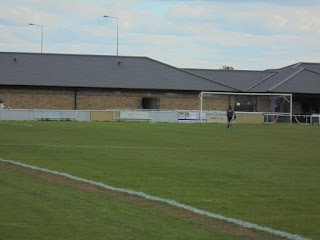 In the 2001/02 season, the club were runners-up in the Senior B Division, but didn't earn promotion to Division 1 of the United Counties League until moving into Jubilee Park at the start of the 2003/04 season. 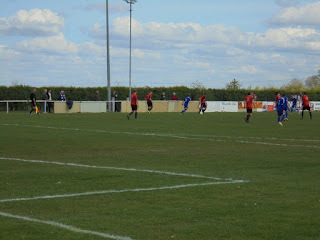 Initially, the club struggled at the higher level, but they slowly improved and eventually earned promotion to the Premier Division in the 2011/12 season. 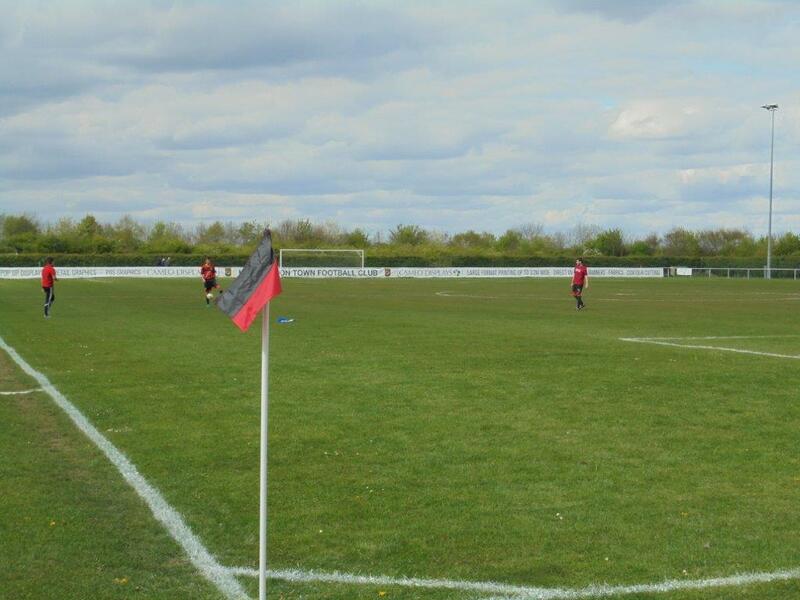 With the help of a wealthy benefactor, the club finished 4th in its first season in the Premier Division, before finishing 2nd in the 2013/14 season. 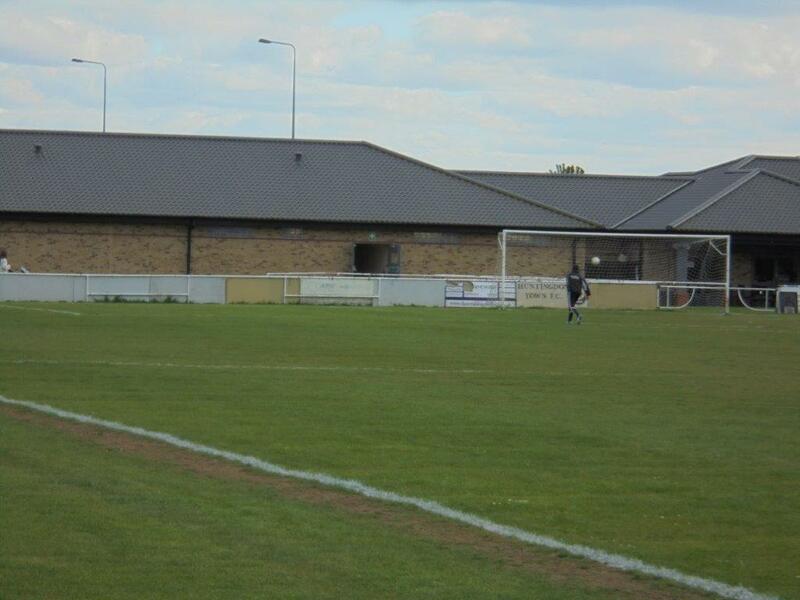 However, next season saw performances drop off alarmingly as the club finished 16th in the league, with the benefactor having pulled his money out of the club. 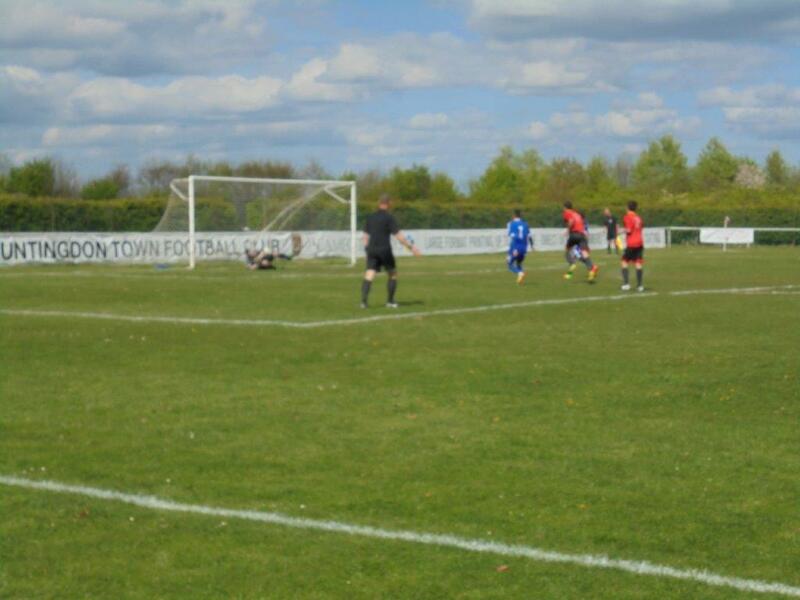 The 2015/16 season was even worse for Huntingdon Town, with the club picking up just 8 points all season and conceding almost 200 goals in the process. However, despite finishing bottom, the club were reprieved due to the demise of Northampton Spencer and the promotion of Kempston Rovers. 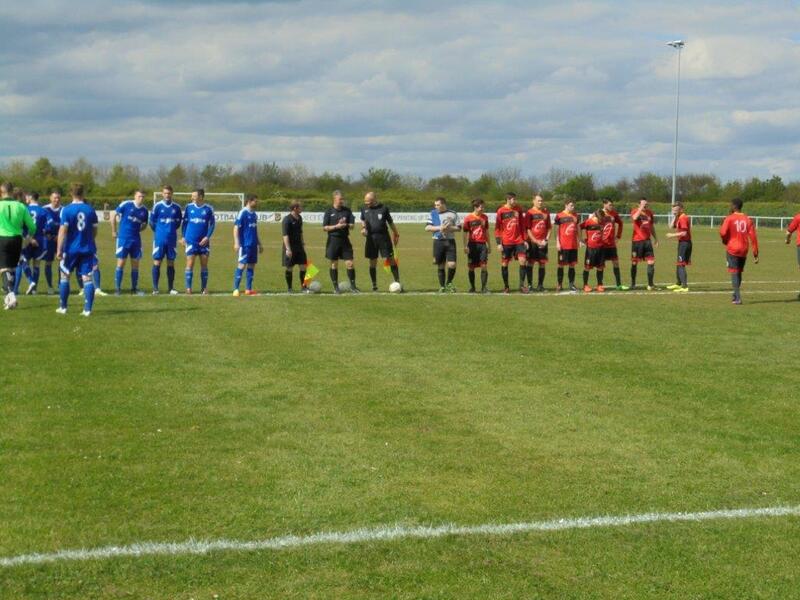 The following season was little better, with the club picking up just 10 points and conceding 151 goals in the league, but this time there was no reprieve and the club were relegated back to Division 1. In the FA Cup, the club has progressed as far as the 1st Qualifying Round on three occasions, most recently in the 2013/14 season when they beat Fakenham Town and Swaffham Town before playing Sleaford Town in a match that was abandoned and saw both teams disqualified from the tournament. 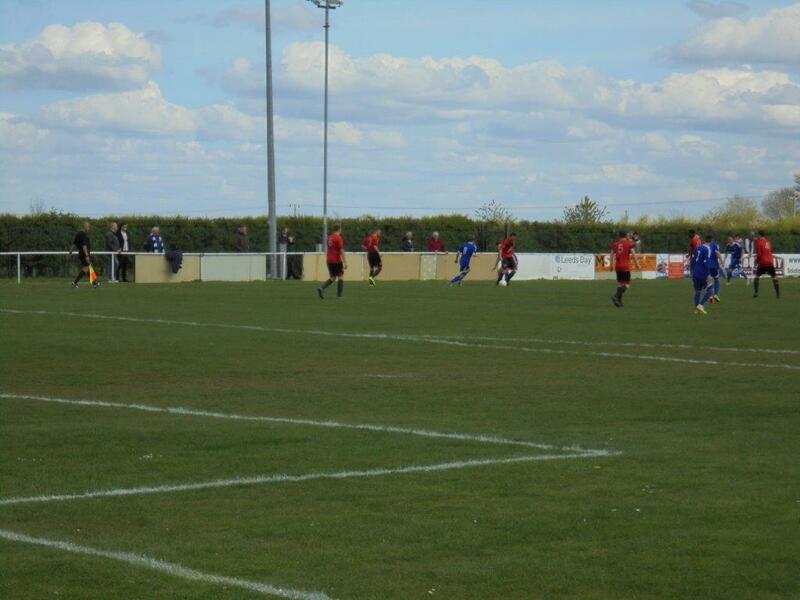 Since this run though, Huntingdon haven't won a single game in the competition, with their worst result being a 12-0 defeat at Yaxley at the start of the 2016/17 season. 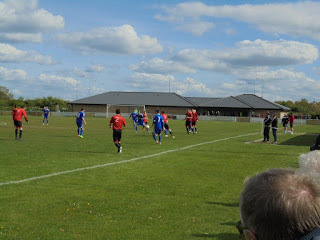 In the FA Vase, the club's best run saw them reach the 3rd Round in the 2013/14 season, beating Thetford Town and AFC Mansfield before losing to Congleton Town. 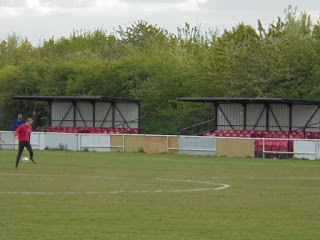 As the final few weeks of the season approached, I was frantically trying to catch up and ensure I visited three more grounds before the season finished. 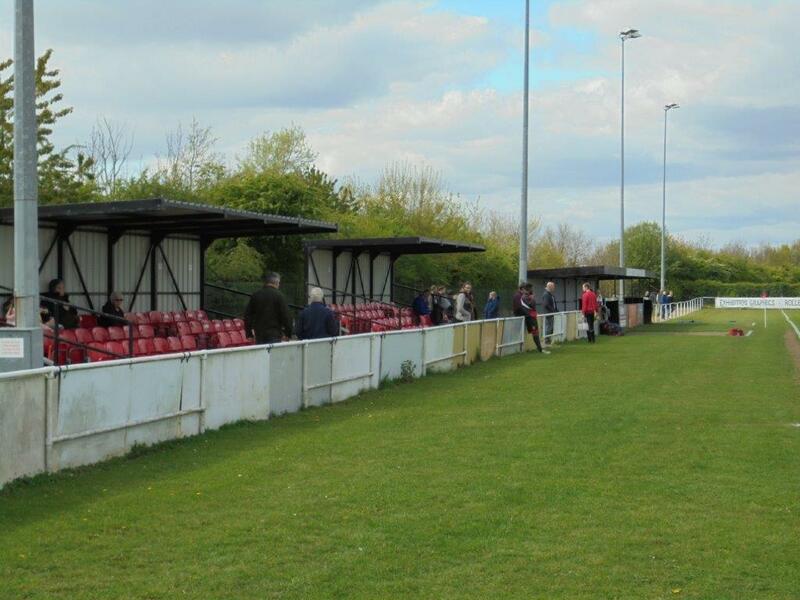 With one guaranteed at the start of May for Yaxley's cup final, I just had to find two more in the meantime, and this local fixture on the Easter Monday was ideal for my 8th ground of the 2016/17 season, with Huntingdon being one of my closest grounds to visit. 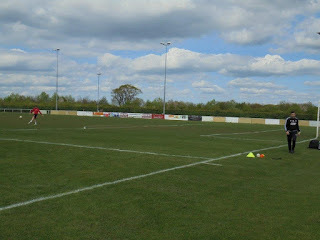 With the ground being just 15 minutes away down the A1, I was easily able to convince my mum to give me a lift to the ground, and I got into the ground half an hour before kick-off. 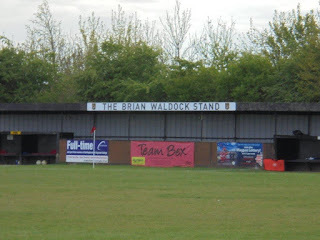 I went around and took some photos of the ground, before settling near the Brian Waddock Stand on the dugout side of the ground. 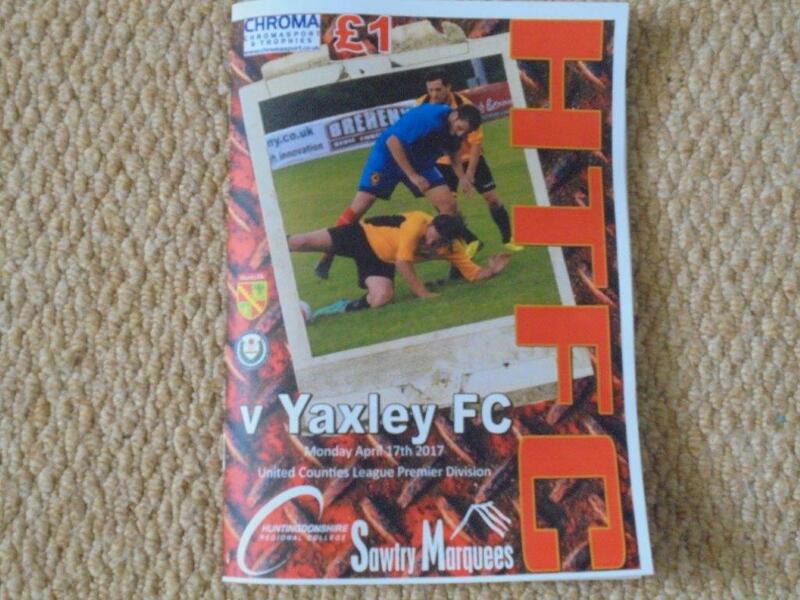 With the FA Cup meeting between these two sides at the start of the season still firmly in my mind, and considering the fact that Huntingdon were on a miserable run while Yaxley had only lost once in 2017, I expected this game to have plenty of goals, with it seeming as safe a bet as anything that we would run away with the game. 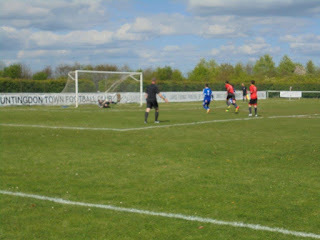 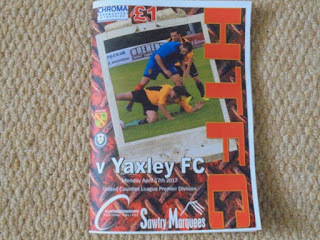 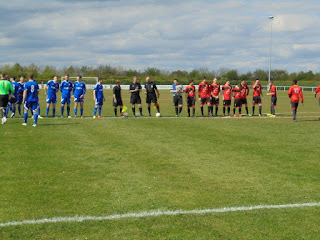 However, the game completely failed to live up to the hype of an Easter Monday derby, with the only moment of note being the penalty that Dan Cotton scored for Yaxley after 2 minutes; I had expected this to open the floodgates, but instead both teams decided to forgot how to play football. 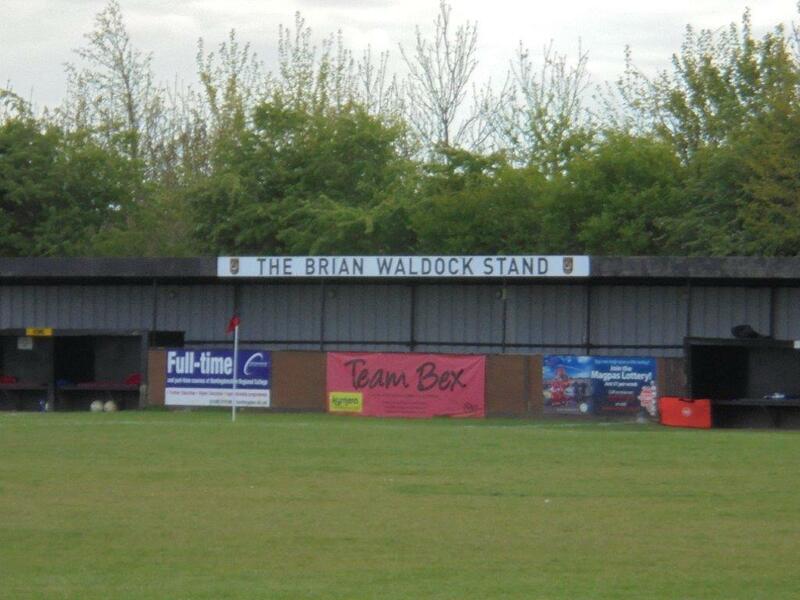 Jubilee Park is as generic as Step 5 grounds get, with two 50-seater Atcosts providing the only seating at the ground, and the only other cover being the Brian Waddock Stand, which provides covered standing for around 100 people. Other than this, the rest of the ground is open hard standing, but there is room to expand if the club needed to. That being said, the club seem to be looking to move grounds in the near future, so that room for expansion may prove to be a moot point.